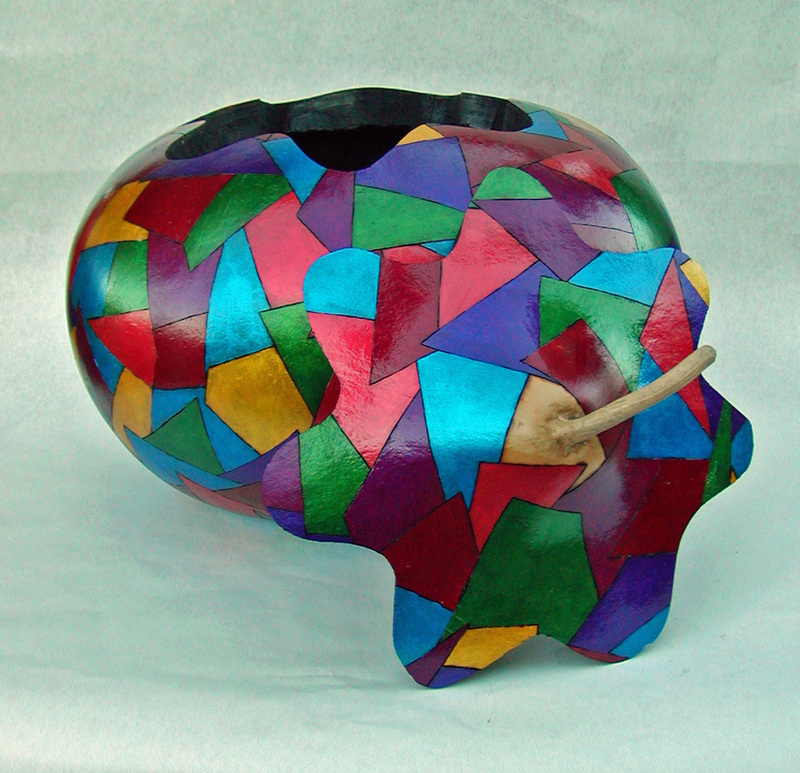 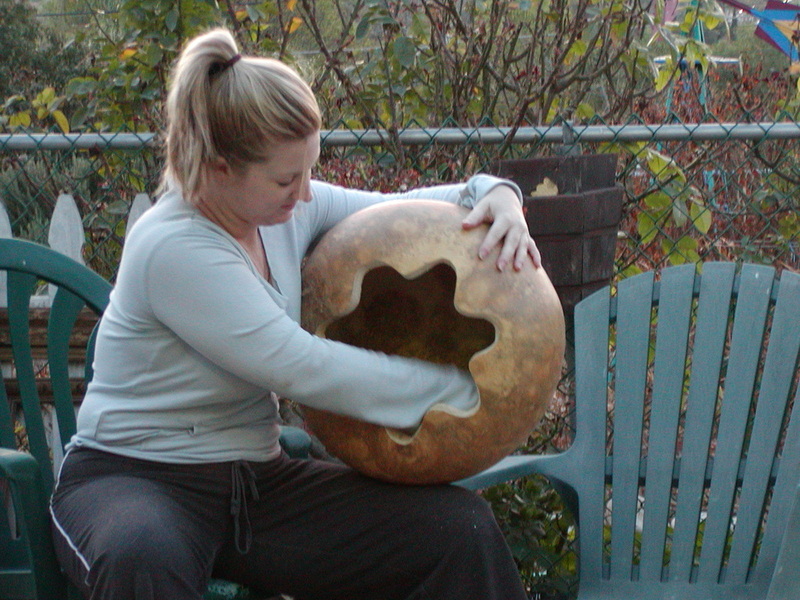 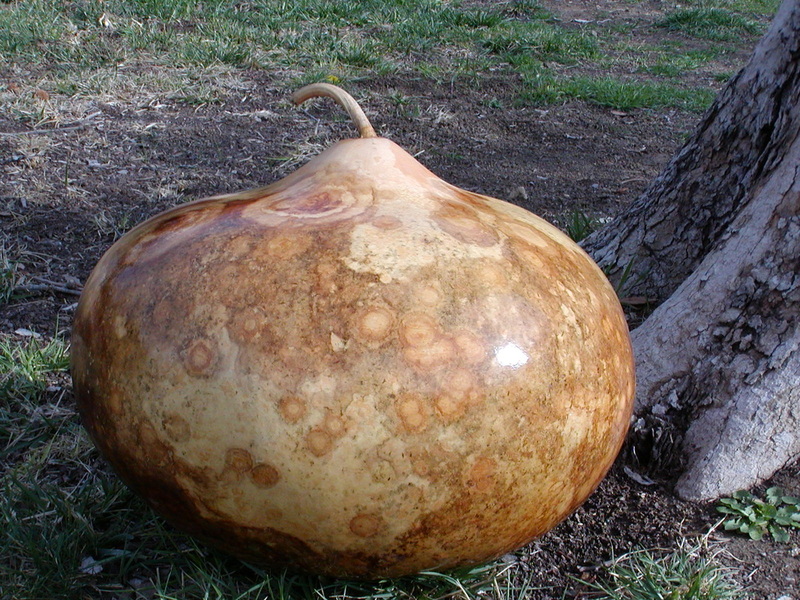 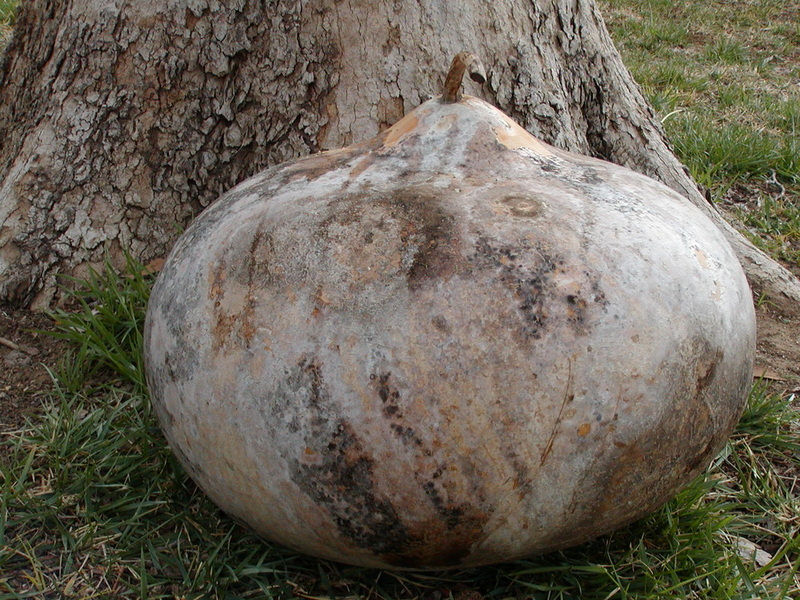 From a dirty gourd to a beautiful work of art - here are some step-by-step photos. 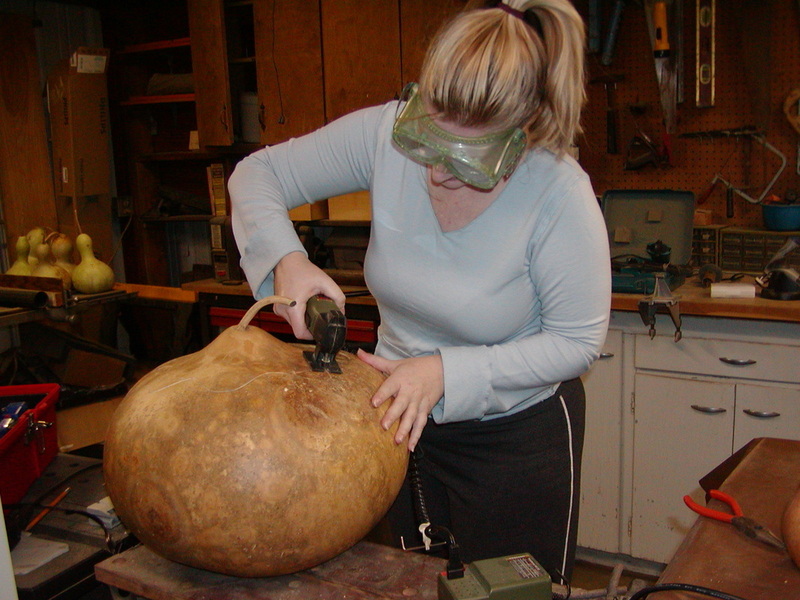 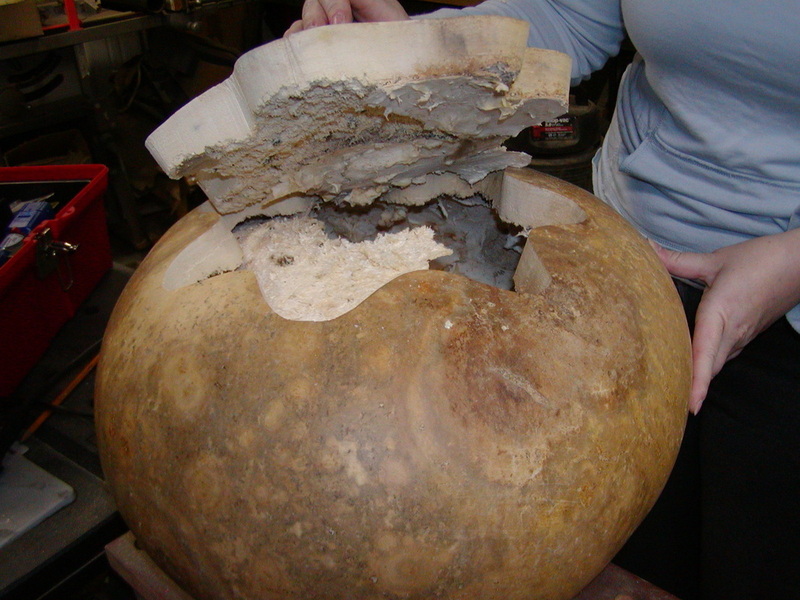 Opening has been cut - look how thick that gourd is! 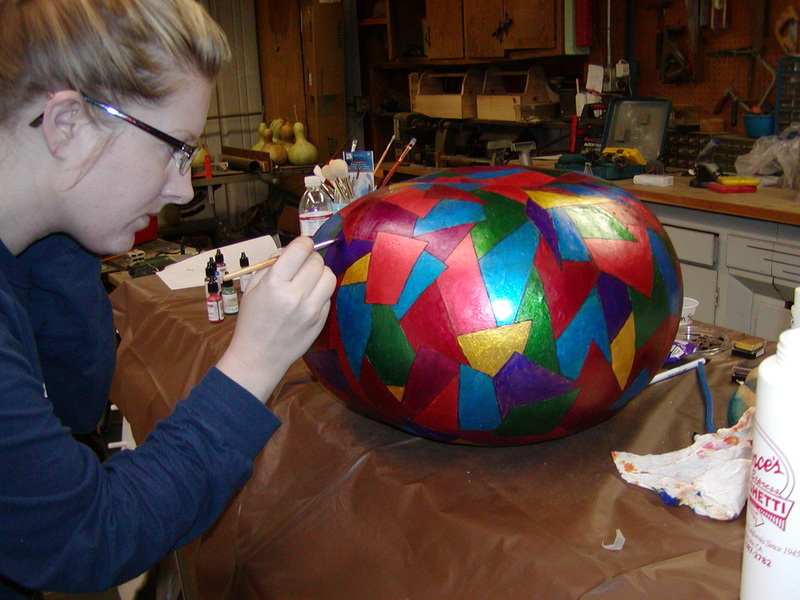 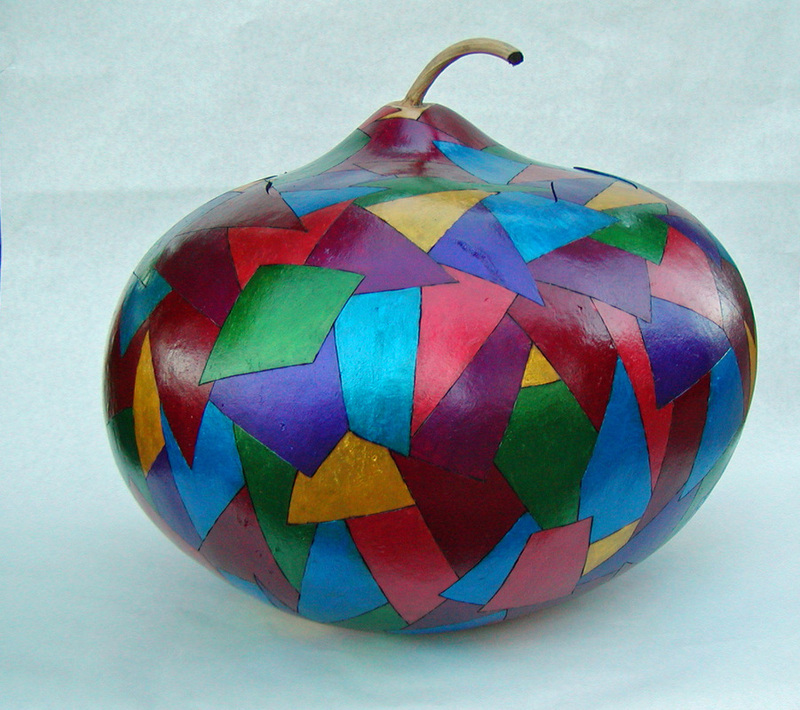 After woodburning all the shapes, the gourd is painted with metallic inks.